Howard Griffin Gallery represents a group of contemporary artists who are not wholly dependent on traditional institutions and structures within the art world for success. Typically a thread of public art runs through the work of represented artists and the Gallery combines working with artists from the contemporary disciplines of street art and graffiti with artists from more tangential public art backgrounds. 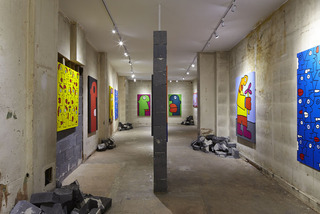 Howard Griffin Gallery specialises in large scale debut exhibitions. However, the exhibiting artists are already renowned for one reason or another, be it for executing large scale murals around the world, sitting drawing on a busy High Street or painting the Berlin Wall illegally for years. 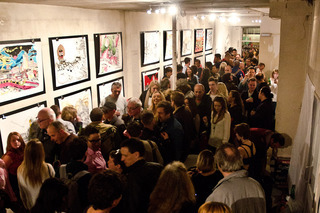 Howard Griffin Gallery is based in Shoreditch, London and the 220 square metre two level gallery space plays home to an extensive exhibition schedule. The Gallery, on occasion, launches off site exhibits with activity planned in New York and Los Angeles over the course of 2014.